EY is a global leader in assurance, tax, transaction and advisory services. We’re working in a digital world, where EY provides confidence to clients, boards and stakeholders through every angle of transformation, delivering quality services that help them grow and protect their business, and build a better working world. 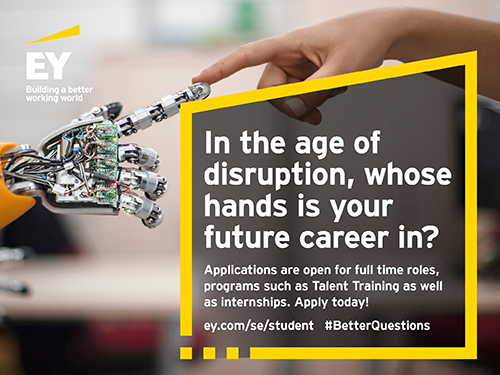 Through our deep understanding of new technologies and innovation, professional judgment, and human insight, EY inspires confidence in the capital markets and helps leaders seize the upside of disruption. That starts with a culture that believes in giving you the training, opportunities and creative freedom to make things better.